MrYeats, mb doug and Davey like this. mb doug and Davey like this. rbh32, mb doug and Davey like this. I missed it so much I pretty much cloned it.. Here's my one and only HB. Paid more then I should've, but I love it. mudshark60, MrYeats and mb doug like this. More than I thought I had, although I'm down to just one of the Bullet Specials and two of the 51's. squi guy, Davey and MrYeats like this. Love these 7 strings! 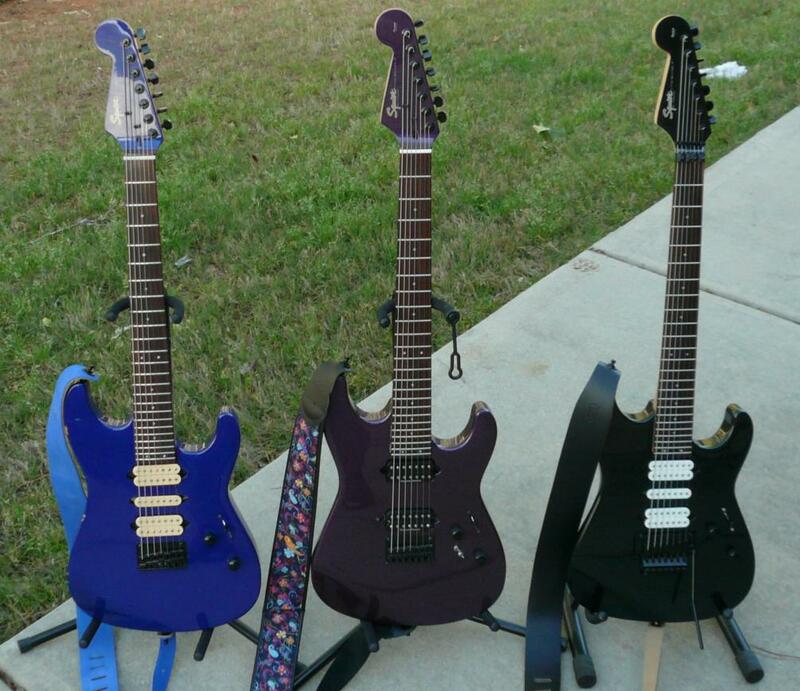 The Purple 7 string now is a HSH like the blue & black ones. 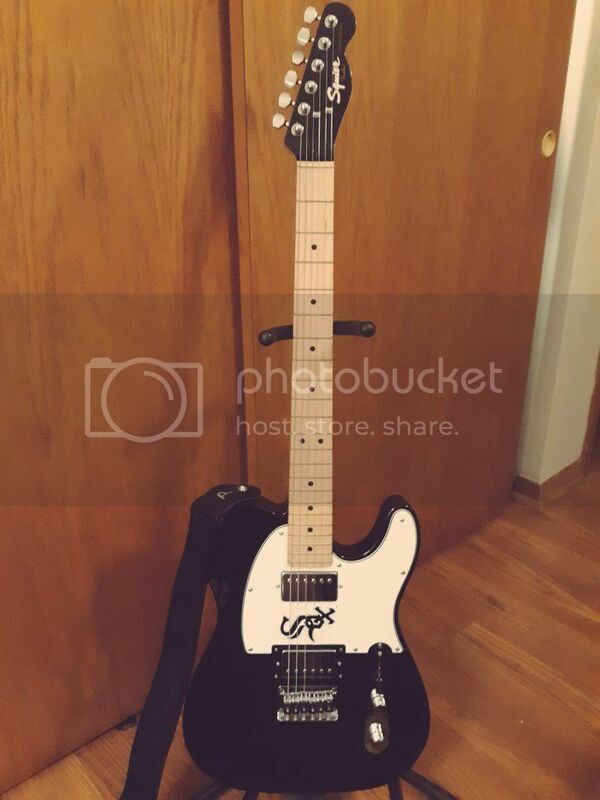 I also have a black hardtail 7 string that is not shown. Hey, that Wayne Kramer thing is pretty nice. Thanks! I built it from basically throw away parts. mb doug and AngelDeVille like this. 2005 Standard Strat with Ibanez Super 58 humbuckers. mb doug, Stratlover84, Davey and 1 other person like this. mb doug, Rey08 and Davey like this. Thanks to the awesome generosity of a fellow ST member and a Tele wiring harness, I finally got to put my Guitarmadness Alnico IIs in mine. And I learned a valuable lesson.... If a seller is nice enough to send a full color wiring diagram for the kit they sell, it may be best to go by that. I thought I’d be clever and try 50s wiring using a different diagram, but it turned out horrible with sound coming out IN BETWEEN selections on the 3way switch. Now it’s wired up correctly and everything’s good..
mb doug and Stratlover84 like this.